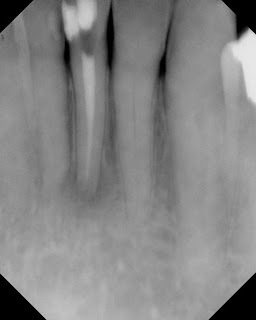 This tooth was referred to my office today after the RCT had been started. 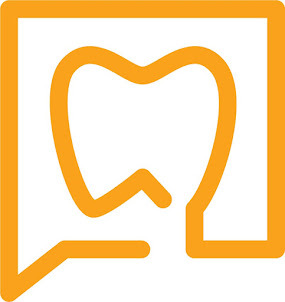 I appreciate a dentist who is not afraid to stop during a procedure and refer if needed. Here's a tip to help you find these canals. Look lingually. 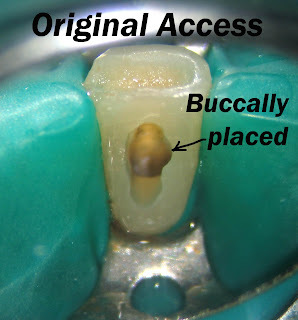 The natural access into a Md incisor always goes toward the buccal. 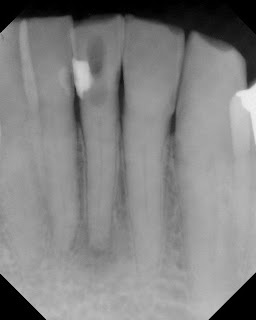 If you cannot find the canal (or the second canal in 20-40% of these teeth), look lingually. 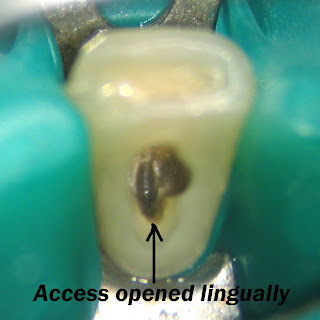 I used an ultrasonic tip under the microscope to cut from the current access back towards the lingual. That's it. Remember to look lingually. 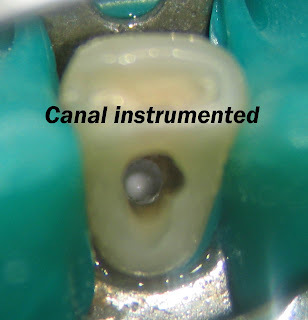 There are actually 2 canals in 40% of mand incisors. Thanks for your correction. 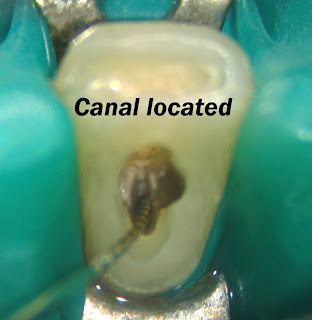 Benjamin & Dowson foun 2 canals in 41.4% of Md incisors. 1.3% had separate foramina. Green's earlier study found 2 canals in 20%. Either way, I was off. Thanks for your correction! did you get a crown done on that tooth?